Last week, I downloaded a free trial of Pixie. At first, I thought it could be an upgrade to my school's drawing software and I wasn't all that impressed. We currently use Tux Paint and Kerpoof for free. Kerpoof is pretty much everything I need a drawing program to be and I didn't think Pixie offered all that more. Then, I discovered Pixie's potential. 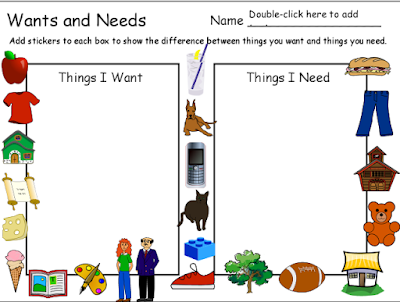 Not only can you drag in photos and access your camera directly from the program, but you can also create and save templates for assignments. Students can record audio and export their creation as an mov file, which can be combined with other students' work and compiled into a virtual class book. 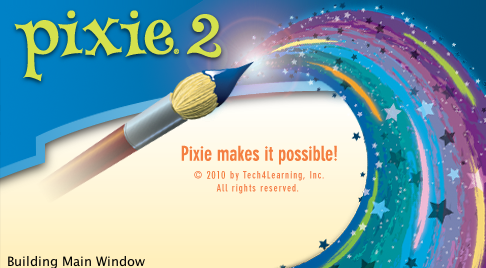 Pixie reminds me of a simpler version of Keynote, directed at primary students. Unlike Keynote, all of the clip art or "stickers" as Pixie refers to them, are contained within the program. There's no need to save a file of photos to go along with the template or have students waste time on the internet looking for pics. Please post a comment to share how you are using Pixie in your classroom.